Adopted by a gangster named Prem (Ranjeet), young Govinda (Mukesh Khanna) grows up a hoodlum and extortionist. 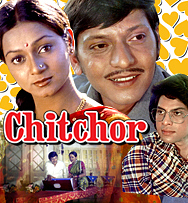 His life changes when he falls for a courtesan named Reshma (Zarina Wahab), throwing him into conflict with Prem and his goons. But Reshma herself must also make a choice when a wealthy man, Jamnadas, shows up claiming to be her father and will only permit her to move in with him after she agrees to not see Govinda ever again.